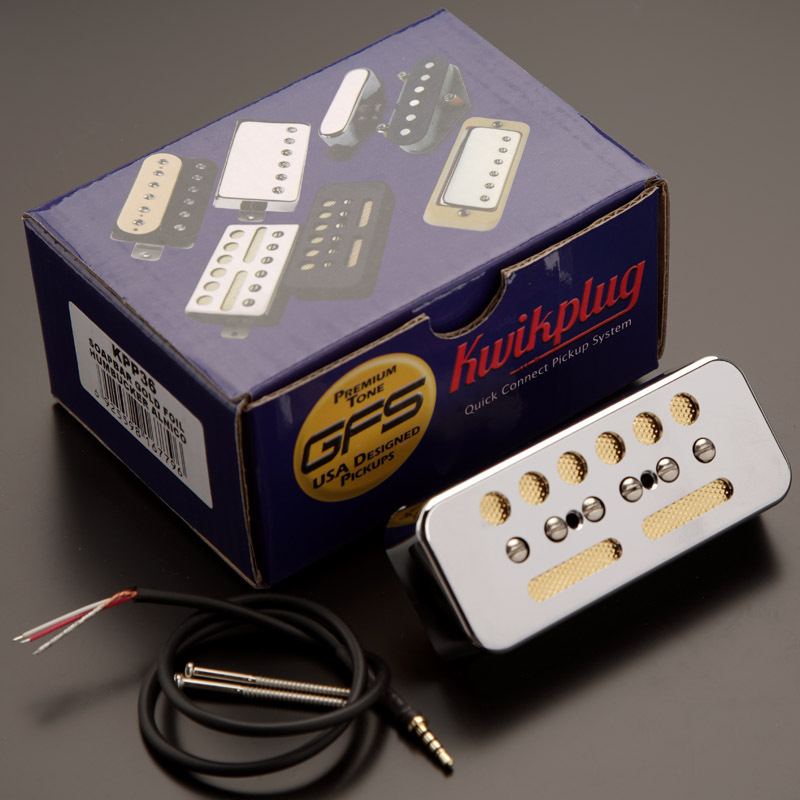 This pickup is now available in our proprietary Kwikplug “Instantly Interchangeable” pickup system. Check the appropriate boxes below! 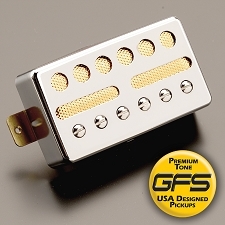 The GFS Gold Foil Single coils really reproduce the sound, feel and VIBE of the old Gold Foil Pickups. 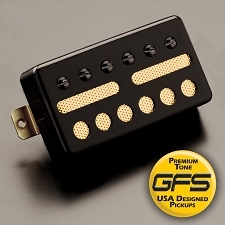 These are humbucker units with Alnico bar magnets and 43 AWG Plain Enamel Wire that gives you a really relaxed, warm tone with plenty of dynamic range. 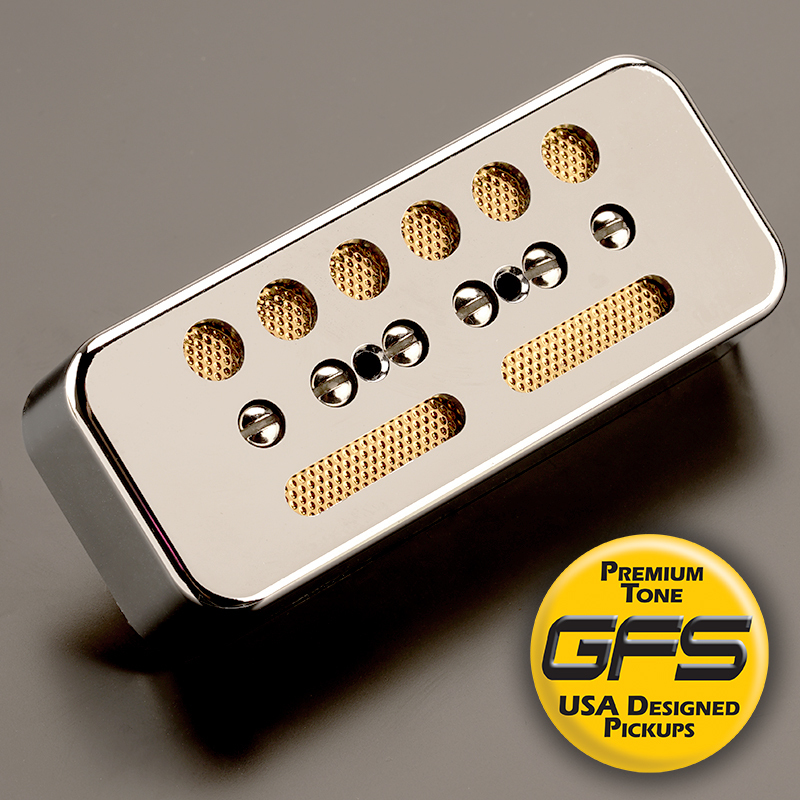 This is a sweeter humbucker with PLENTY of clarity on the high end. Beautiful for arpeggiated chords, fingerpicking and of course- slide guitar. 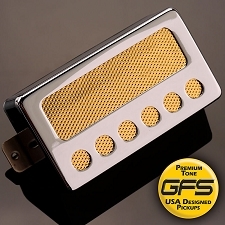 We have successfully captured the lanquid, musical feel of the original single coil Gold Foils but added the body and power of humbuckers, without losing any high end definition. 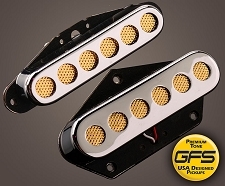 The Bridge pickup is wound to 6.6K and the neck to 5.8K. 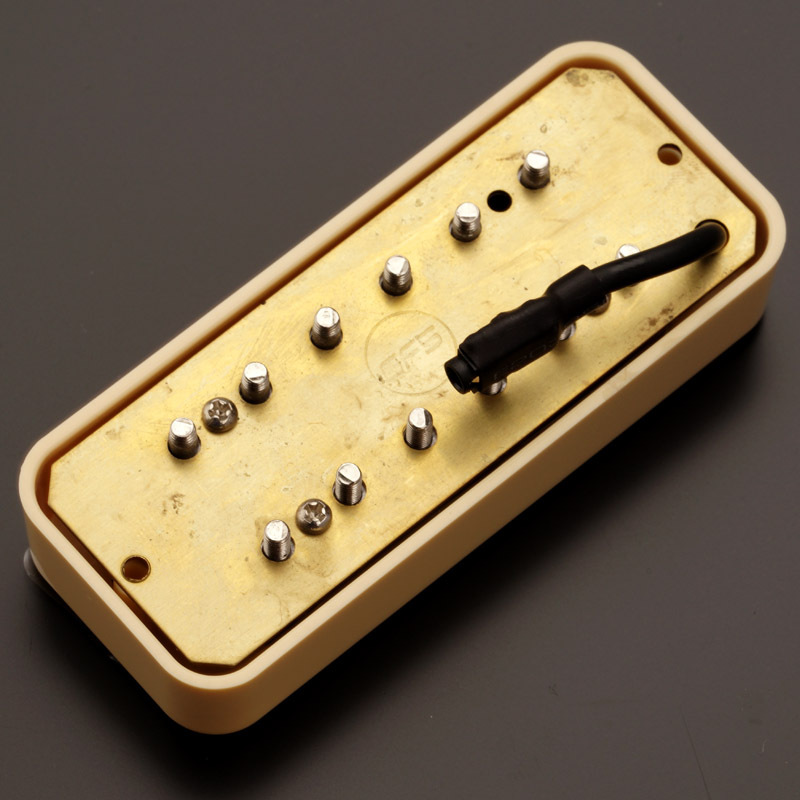 These are wired with the familiar GFS 5 wire leads, and ARE coil splittable. They are built with a fiber lower bobbin, and are vacuum wax potted in a parrafin/beeswax mixture for NO squealing. 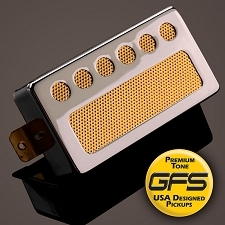 These ship in the GFS Retail box and come with foam mounting pads, screws and wiring instructions. If you choose the Kwikplug version you can order a matching “Solderless” pre-assembled wiring harness for quick and easy “pain-free” installation! Click here to add a harness to your cart.